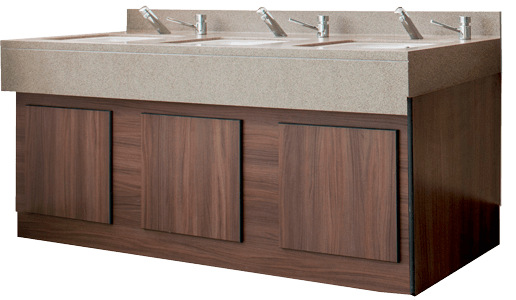 A range of designs available; a vanity unit to suit every washroom style. Nokk are able to manufacture a bespoke vanity unit to compliment your washroom’s existing colours and finishes, including Corian & Tristone. 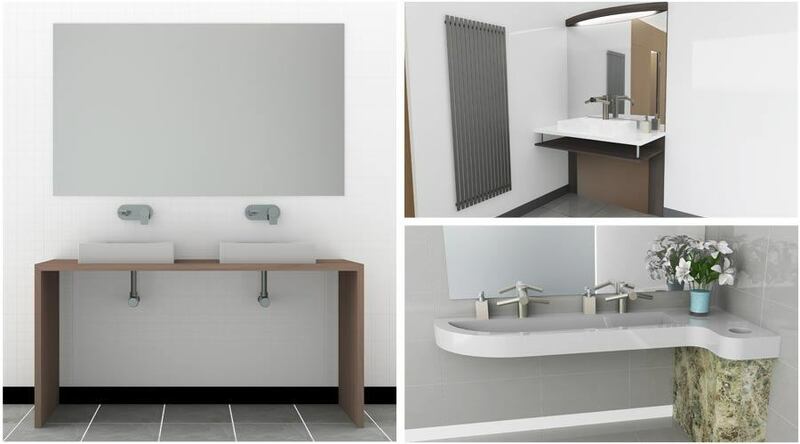 As a subsidiary of Cubicle Systems, Nokk has years of experience creating bespoke vanity units for washrooms. Corian & Tristone solid surface vanity worktops available. A large variety of styles available, including; melamine face chipboard (mfc), solid grade laminate (sgl), high-pressure laminate (hpl), glass effect, solid surface, wall hung. 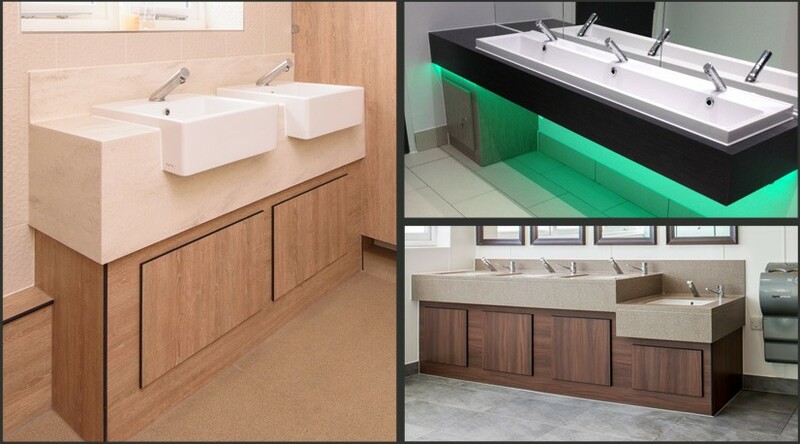 With over 25 years experience of washroom creation, we know how to design great looking & functional vanity units. 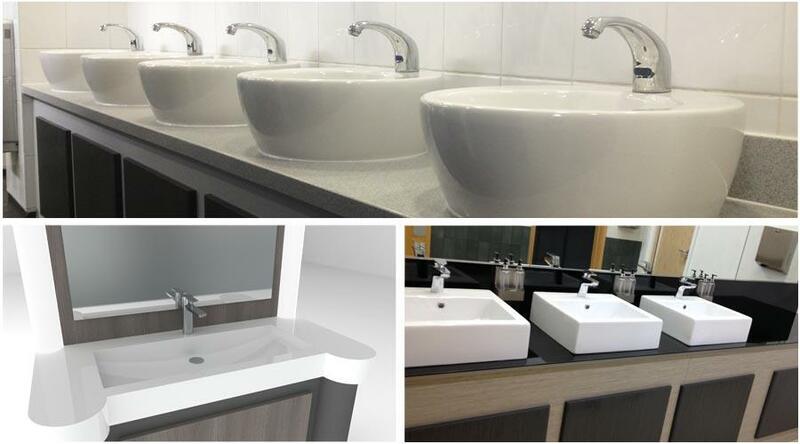 Our knowledge prevents any issues after the washroom is finished; such as knowing which taps are functional with your chosen water basins, preventing water from excessively splashing onto the floor & creating a slip hazard. You’ll be automatically emailed several brochures with various materials, colours & texture options for your vanity units. One of our team will be in touch to send over any additional information you require.